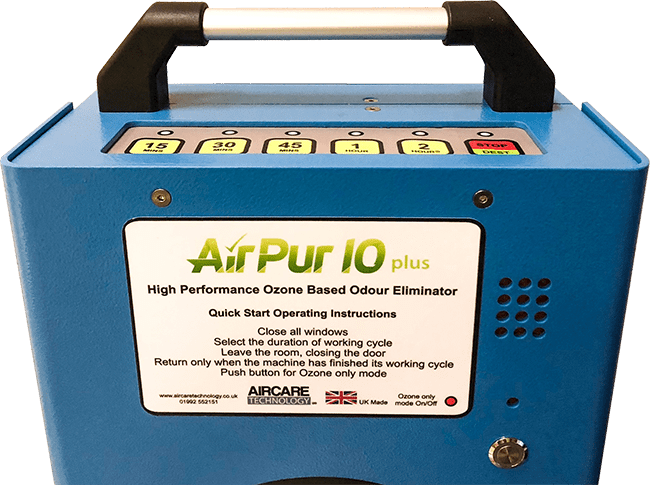 automatic ozone residue destruct and ozone generation only mode, makes it perfect for use in large rooms in hotels, care homes, dining rooms, static caravans, halls, as well as for professional property cleaning and restoration services. Treats a large hotel room from 15 minutes. 5 time settings depending on level of odour and size of room. Facility to set ozone destruct only cycles. Facility to set ozone generation only cycles. Lightweight and portable. Also available as mobile on castors or with wheels and pulling handle. Efficient and economical with low running and maintenance costs. Saves you time and money on labour, effort and chemicals. Meets and exceeds current Health and Safety guidelines.